This artist has many paintings in Buckhorn Wash, all of which have been vandalized due to the panels being located on the Old Spanish Trail. The remote location of this panel, eight miles from Buckhorn Wash on the San Rafael River, has allowed these paintings to not be vandalized (so far). This companion panel may not be by the same artist, although some forms are similar. There is a third panel at this location as well but it is faded and eroded so is not shown. Notable are the spear-like objects (darts?) in the hands of some of the figures. 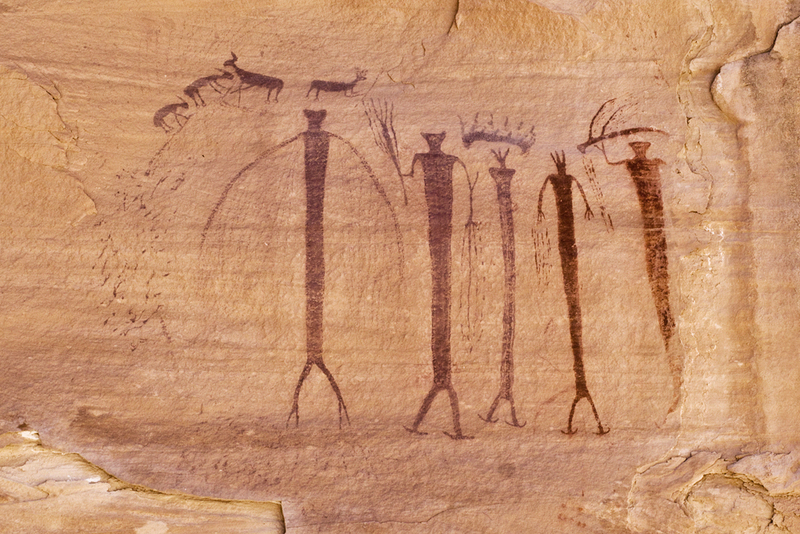 If they are darts, this is the only Archaic period panel I've seen showing them. 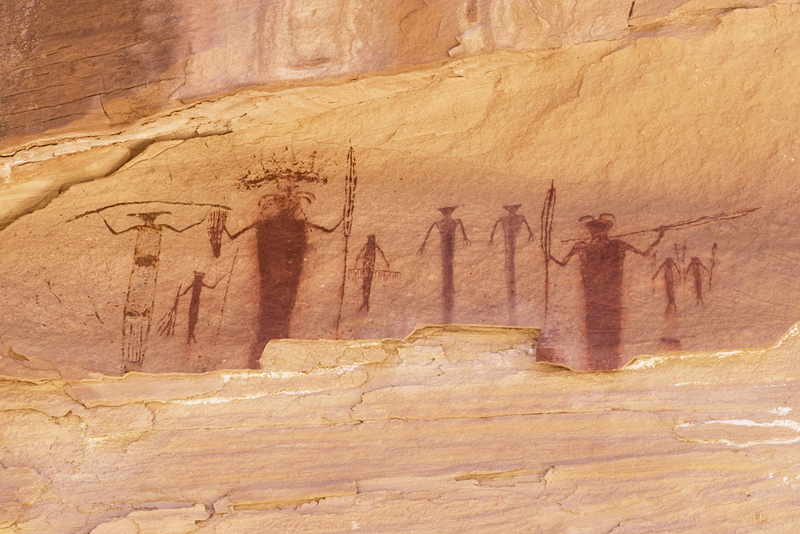 Barrier Canyon Style Rock Art, Utah.